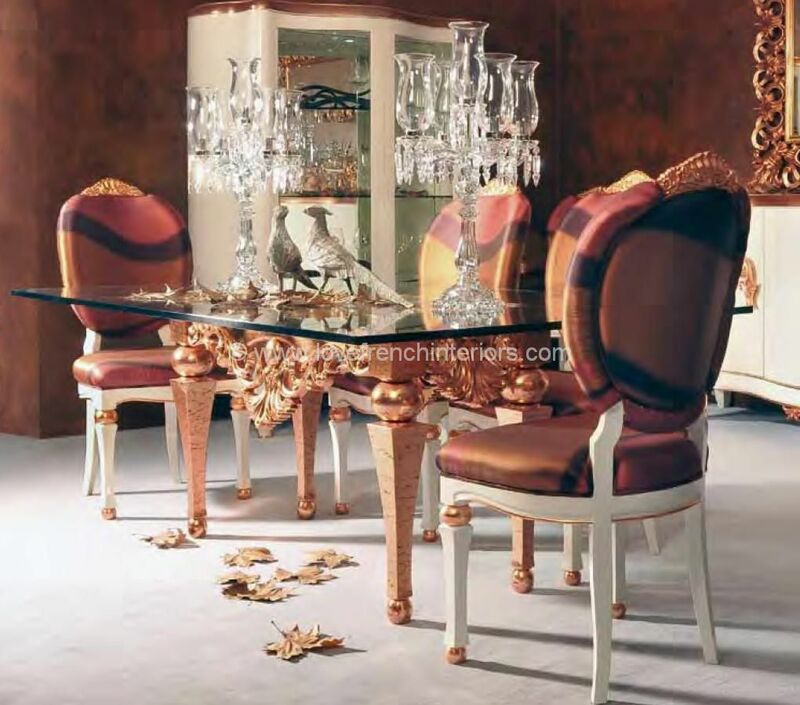 From our collection of luxurious designer furniture is this stunning glass top dining set with an ornately carved pedestal base and shown here with our Capri dining chairs. 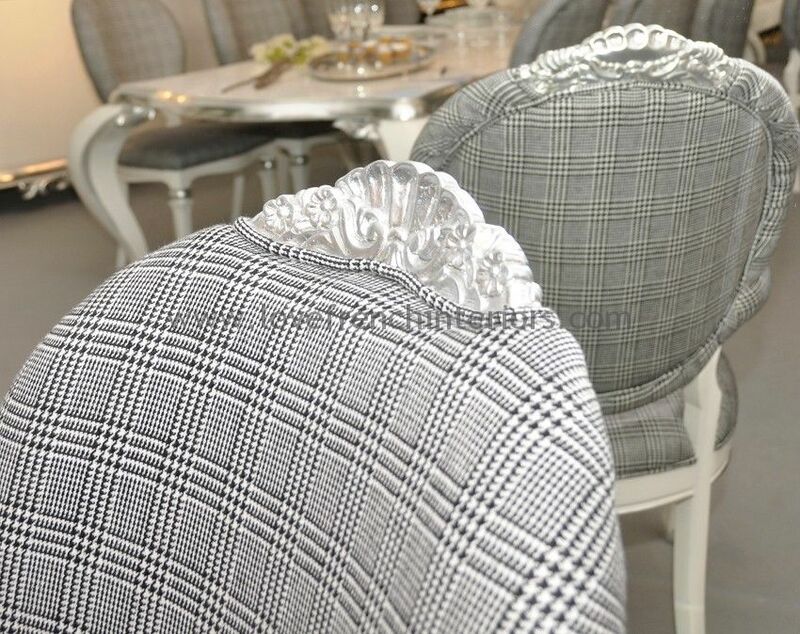 Other colours are available and many other fabrics are also possible for the chairs - or you may choose to supply your own fabric. 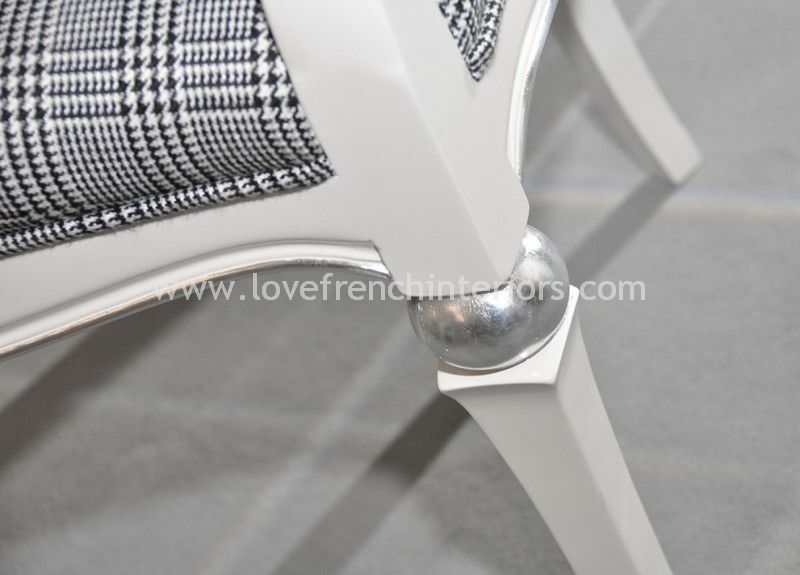 Discounted prices are available for extra pieces added to this set due to us saving on delivery costs. 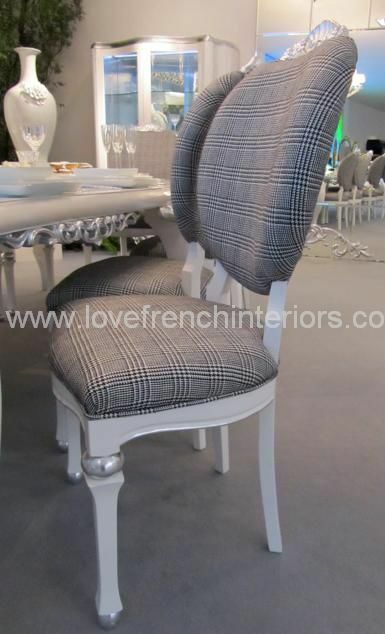 You may also purchase this dining table but with fewer chairs - please contact us for prices. Only the largest set is shown here. For additional images please contact us.